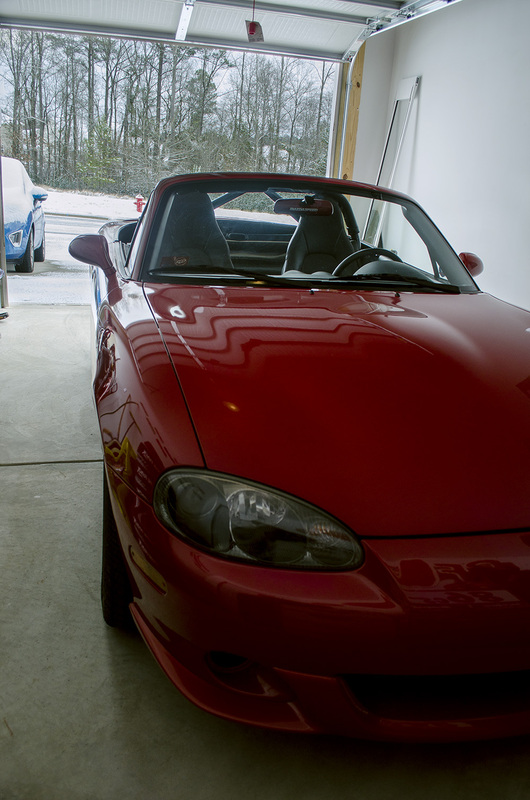 We finally got hit with a little bit of snow down here in South Carolina, which put a hold on almost all of daily life today, and made the Miata sad to sit in the garage with it's top still down from upper 60 degree weather just a day ago. Additional autocross dates were announced by the CCR SCCA group and the NMS calendar is now up to date! Check out our schedule tab for all the latest info and get psyched for warmer weather to come! The Fiat ventured out into the snow just long enough for a winter shot.